The prices at the pump are soaring. And I have an F-350 Powerstroke Diesel truck with the thirsty, but legendary 7.3 liter engine. I’m very fortunate in that I work from home, though, and don’t drive it on a regular basis. I’ve been reading about alternative fuels and wanted to share the basics with you. In later posts I’ll tell you the specifics on what I plan to do. 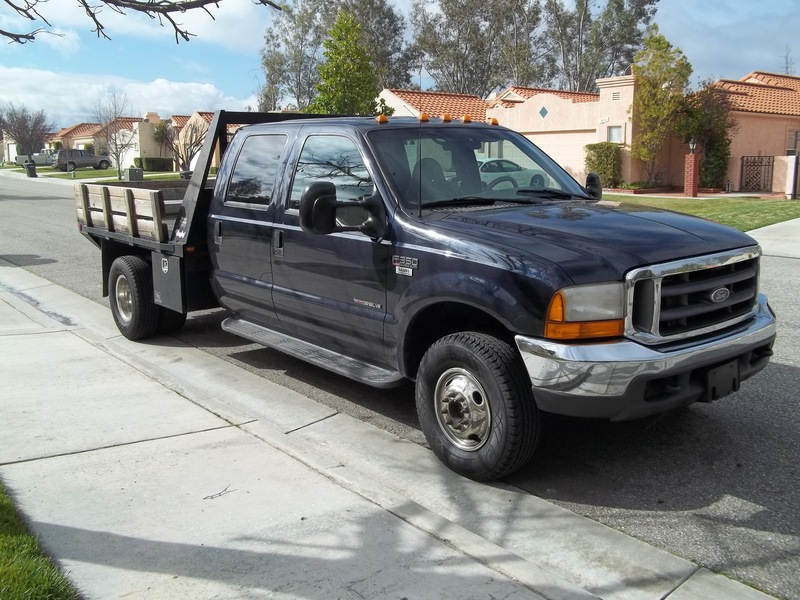 I’m only sharing information relevant to diesels and specifically the 7.3 liter Ford Powerstroke, since that is what I’ve got and that is all I’ve researched. Diesel engines are amazing, in that they are very robust and can tolerate a broad range of fuels. In fact, they were originally designed to run on peanut oil. A brief list of the fuels a diesel engine can utilize are 1.) #2 ULSD (thats Ultra Low Sulfur Diesel) which is the regular old stuff at the pump at most gas stations 2.) off road diesel – this is dyed red, used for farm and construction equipment and usually has better lubricating characteristics but it is illegal to use on over-the-highway trucks 3.) Bio Diesel and 4.) Waste Vegetable Oil. Note: I’ve read that this isn’t all true for the Ford 6.0 liter and other engine sizes, so do your own research. The difference between bio diesel and waste vegetable oil is that bio diesel has been put through a chemical process and can be run in your fuel tank in place or or with diesel. A lot of times it is blended to a specified percentage with diesel. Waste vegetable oil (WVO) is simply filtered and then burned in your truck. WVO cannot be put in your diesel tank, however. The truck must be modified so there is a completely separate fuel tank and system that runs along side your stock system. This is necessary because WVO must be brought up to 160*F before being introduced to the engine. Oil cooler than 160*F will stick to the cylinder walls and will result in coking, leaving behind black deposits which will build up and ruin your engine. In a proper WVO system, the truck must be started on regular diesel and then switched over to WVO once the engine temperature is hot enough. Extra hoses are spliced in to your engine cooling system and run through a small transmission cooler that sits in your WVO tank. As the truck’s engine heats up, this will heat up the WVO. An extra temperature gauge on the dash will let you know when it is safe to switch which is usually only a few miles even in cold climates. Before getting to your destination and shutting off your engine you must purge the WVO out of the fuel rails. I’ll go into greater detail in a later post with the specifics on my design, parts, etc.